advertisement posted by Steel Fire Kennels to sell Bingo. At the time, I kept a yard of tight Yellow John bred dogs. 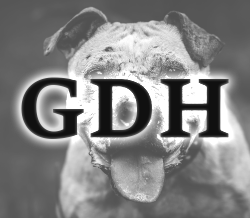 After talking to Fletcher Chavis, who was my main influence in the RedBoy dogs, I became very interested in a dog that I thought would make a big impact to my yard. Bingo would bring the RedBoy blood up close. Once I got Bingo in my yard, I wanted to personally see if he was as good as they say. 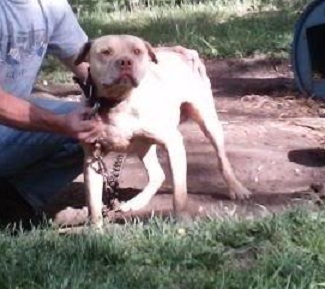 He was rolled several times, in which he proved to me that he was going to be used as my primary stud dog. 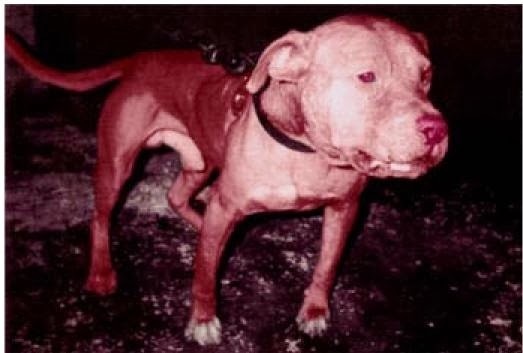 Bingo was bred to approximately 26 different gyps during the time I had him. Twenty of those gyps were my own. Although he was bred to a lot of great females, some of the ones that come to mind are Marlowe’s Peaches (Eslinger), Bailey’s Lacy, Bailey’s Paycheck (pure Yellow John), Richardson’s Cream, El Vira (2XW), and Bailey’s Cherry. 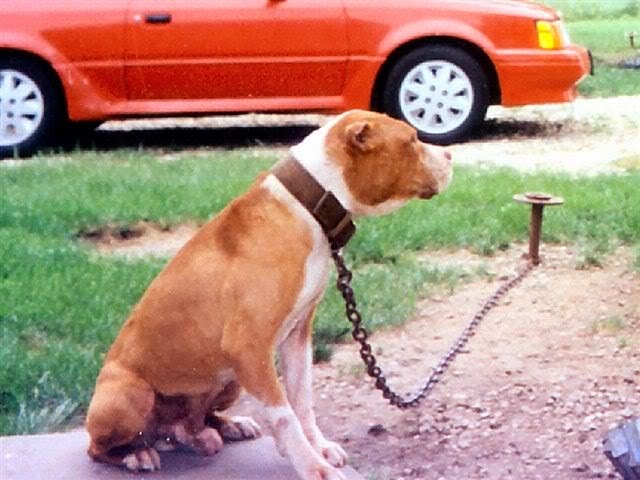 When he was bred to Peaches, the litter of pups consisted of WCC’s Deacon ROM , Crenshaw’s Hunter Red ROM, GR CH Radar, Charlie’s Justice (2XW), and Red Girl (1XW and 1XL dead game). With Lacy’s breeding came Ch Bubba, Rangel’s Durango, Ginger, and Spooty. The last litter, I would like to mention was Bingo’s breeding to Richardson’s Cream. This litter consisted of two females that automatically come to mind. The two females were Blitz and Twister (dam of Pitstop’s Red ROM). Other dogs that I would like to mention produced by Bingo were Bailey’s Crypt (AKA Bo), Bailey’s Cadillac, Bailey’s (0. Stevens’) Red Ape, Garner’s Hap, and Ch Monkey Man. With those dogs in mind, Bingo has produced at least two Champions and 1 Gr. Ch.The last dog I would like to mention in details is Bailey’s Crypt. In 1998, I reacquired Crypt back from a long time friend. At the time, he was 6 years old. Crypt was the result of breeding Bailey’s Cherry to Bingo. 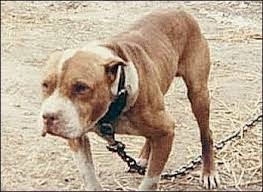 Crypt, unlike his father, produced dogs with a very hard bite. At the same time he also produces game dogs with great wind (RedBoy traits). Most of the dogs Crypt has produced are now just becoming of age. So far, he has shown me that he will produce as good, if not better than his father (Bingo), since he is producing hard bitters that are game and long winded. To this date, he has currently produced 6 one-time winners and 1 two-time winner.